Let’s bring light to our community Dec 23 & 24! Join friends and neighbors as we light Roosevelt Street and connect with one another in celebration of this family-friendly neighborhood. 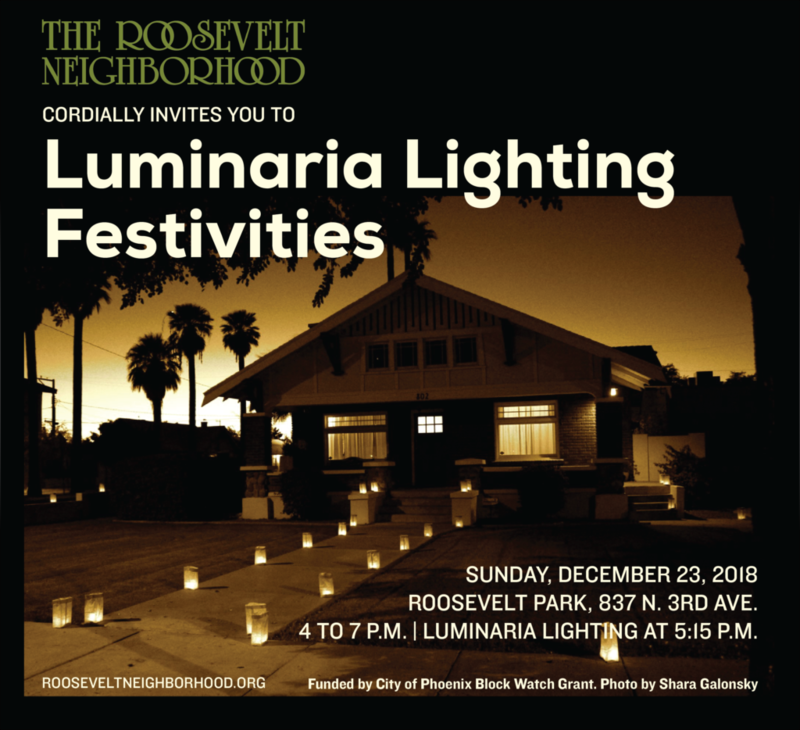 Roosevelt Residents are invited to light their homes and streets! • Friday, Dec. 21, 4 to 6 p.m.
• Saturday, Dec. 22, 10 a.m. to 2 p.m.
• Sunday, Dec. 23, from 5 to 9 p.m.
• Monday, Dec. 24, from 5 to 9 p.m.